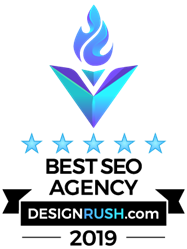 The team at LAD Solutions is happy to announce that we have been recognized by DESIGNRUSH as a top Search Engine Optimization Company for the month of February 2019. We are proud to be a part of this prestigious acknowledgement. DesignRush is a B2B Marketplace that connects brands with agencies. They have analyzed and ranked hundreds of agencies to help brands have a easier time finding top full-service agencies, web design & development companies, digital marketing firms & top technology companies. At LAD Solutions, we offer experienced SEO specialists that are ready to help generate more traffic, leads, and sales for your company. This award further helps establish us as one of the most credible full-service digital agencies in the country. To learn more about our search engine optimization services, call 888.523.2926 or contact us here.